Okay, I admit defeat. There are some things you can't find secondhand and, in this case, it was a 80 cm tall Ikea Billy bookcase. I'd trawled eBay, Free-cycle and the Facebook selling sites for months but to no avail, the only ones in the size I wanted were horribly warped or so far away that once you'd factored in the cost of the fuel to the asking price it was cheaper to buy new, so last week we travelled 2.9 miles down the road to Ikea and bought one. We'd originally intended to put the bookcase on the landing and, in readiness, Jon gave it a fresh lick of paint and finally finished the wooden architrave around the bathroom window that he started 12 years ago (he likes to do things properly!) Although I'd measured the height and width of the bookcase, once we started to put it together we soon realised that the depth wasn't going to work and the only option was to rejig my sewing area and put Billy in the front bedroom instead. My Mid-Century glazed cabinet (£5 from a jumble sale, painted with a £1 sample pot) was shifted to where the old bookcase* was on the landing. Before you accuse me of jumping on the flamingo bandwagon, that wallpaper's been up since 2005 - Cole & Son and hand printed, I'll have you know. It retails at £85 a roll but I found it for £6 on eBay. *The bookcase is now currently homeless! 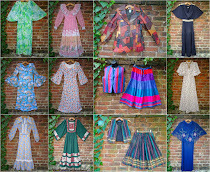 I had a mass clear out of my sewing books and stuck a load of my vintage dressmaking patterns on eBay - where they sold in less than an hour. The remainder now fit in the drawer instead of crammed inside two vanity cases. 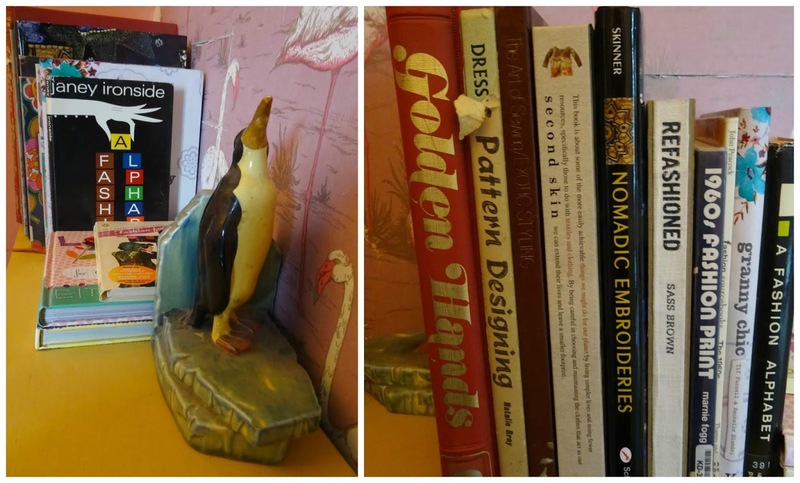 I bought those ridiculous Art Deco penguin bookends from a church fair when I was 20. When we moved into Stonecroft back in 2005 I wanted to paint the bedroom walls dark grey, a colour popular in the Georgian era (our house was built in 1750). Back then I had to have the paint custom-mixed but now the rest of the UK seems to have caught up with my interior design choices and I was able to find a near identical shade of grey in Wilko. I might not wear grey but it's the perfect backdrop for my collection of Mid-Century art. You might remember me finding this 1950s plaster Amy Winehouse lookalike in a chazza last year for £1. The print of her Maj with a spray can is by Mr Brainwash and was a present from Krista and Chris when they stayed with us back in 2012. This 1958 Bernard Buffet print is called "Matador" and cost 75p from a town centre charity shop back in the early 1990s. There's an original Bernard Buffet painting in Walsall's New Art Gallery. Sorry about the state of the floorboards, Jon's pulled the rug back to paint the other side of the room and it's left a trail of dust in its wake. And the reason why I needed a Billy bookcase? It's the perfect size for Lundby dolls houses, they're both Swedish after all. I realise it's all gone a bit quiet on the doll's house front of late but real life keeps getting in the way. There is some exciting news though, my first Lundby renovation is about to featured in an international doll's house magazine. Here's my latest creation, it needs a few tweaks but it's almost ready to share. What a brilliant way to show off your gorgeous dollhouses! Congratulations on not only having your own house featured in a magazine but now your doll house too! Goes to show your fab taste. We also bought one of these bookcases ages ago and it has really stood the test of time. The doll houses look great in it. 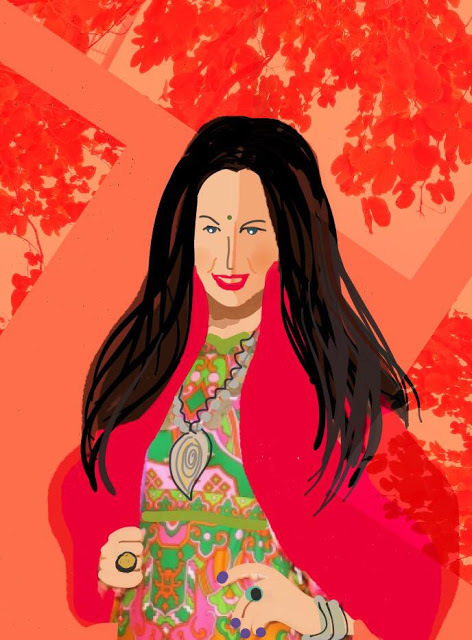 I really love that print of the Queen and your amazing maxi dress. Gorg! woww, congratulations on having your doll house featured in a magazine!, you're really talented and your doll houses are so pretty, original and genuine that magazines have to be knocking at your door all the time! It's lovely to see this little corner of your house and how you rearranged it to show your lovely doll houses. I have some Ikea furniture and many pieces were hand-me-downs by friends who moved, but I had to buy my own Billy shelves!. They're everywhere and for a good reason! You look fabulous in your maxi dress, what a wonderful color and print and sleeves!, loving every detail and all the turquoise-teal shades! We have no Ikea on the island (you have to go to the mainland/Vancouver), and that's probably a good thing for me! I love how well this bookcase stores your soon-to-be-famous dollhouses. I enjoy having a peek at your home's treasures - love the print of her Maj and that matador print totally rings my bell (he's rather Goth, isn't he?). I wish I'd grabbed some of my grandparents' mid-century decor when I had the chance - they had the most hideously beautiful Pierrot/Pierrette silhouettes! I've been wondering about the doll's houses. What a lovely home they have and all on display - where they should be. Far too good to hide away. Any child that comes to your house is going to be instantly drawn to the contents; you've been warned! It's so good to have a sort out/clear out. I've never sold anything on ebay I simply can't be arsed with all the faff but it's wonderful to getting rid of unwanted or surplus items. I love your sewing/crafty glass cabinet lovely to have everything in one place. My crocheting stuff is spread across several containers but at least I can store it all in one room. The Frank Usher maxi is gorgeous on you and more electric blue boots? Fabulous! It is good to have a clearout - we've donated loads to the chazzas this week and I've stuck a load of things I rescued from the parental home on eBay as they've been sitting around here doing nothing. I'm amazed at some of the prices they've sold for. I couldn't resist those electric blue boots when i spotted them when we came back from India - I thought I needed cheering up! I love that your dollhouse is being featured, it is so original! I think buying one new item does not count as defeat - you live your life by thrifting. I think that matters far more. good old Ikea, and why not! it's great value. Your doll houses are going to really well displayed and will now make room for ..... more?!! What happened to poor Billy? Do tell! I wish we had Ikea in Nebraska. I've had to make due with Sauder bookcases which are more expensive and not as nice. Congrats on the magazine feature. You do have a good eye for interior design! congratulations! how cool to be in that magazine! i have 5! ikea bookcases - 3 billy and 2 in a colonial style..... all hand me downs or found on the streets of berlin - not for books thought - the billys are used for shoes and tools in the storage room.... for books we have our 1950 wooden library cabinet. Aren't you lucky? We do have a smaller Billy we found in a skip in the street ten years ago but it's finally collapsed now we've moved it! Oh, how fab that your dolls' house is being featured in a magazine. I'm very excited about the magazine! That bookcase was just made for displaying your dolls' houses. And how exciting that they're going to be featured in a magazine, although it's no wonder, as not only do they look fab, the decoration is ingenious too! Gorgeous dress too - anything in teal or turquoise is a winner as far as I'm concerned! Thanks, Fran! I'm happy they're safely displayed and out of harm's way now. Thanks for sharing a few more corners of your home, it's fascinating to see and hear where all the little bits and pieces came from. Sadly, buying new is unavoidable at times, but you did out in a lot of effort to find something before buying new, so all credit to you. Thanks, Hazel! I might be sharing a few more bits soon - blogging about the house is a great incentive to get thing done! nothing wrong with buying Billy bookcases. I have 8 of them! 1, with doors, is were the weird dolls live, 1 is a regular size and the 6 other ones are the narrow sized ones that fit together in the corners and end up having more shelve space. Hi Vix, you must check out today's BBC news website for the artical:Finland, where second hand comes first. It will be right up your street-especially the learning wardrobe. Would love to visit one of these on my travels.Our local tip has a reuse shop including electrical goods and I am surprised by the volume of modern TV sets chucked away. Long may your blog continue. Alison. Love that shade of gray -- just what we were thinking of four our master bedroom, if we ever get the gumption to paint it. I am glad you survived your trip to Ikea. That place gives me the hee-bee gee-bees. But your dollhouses look fabulous in it. The scale is just right! Thank you! I was fixated on that colour and I think the man in the DIY shop was horrified when I showed him what I wanted. 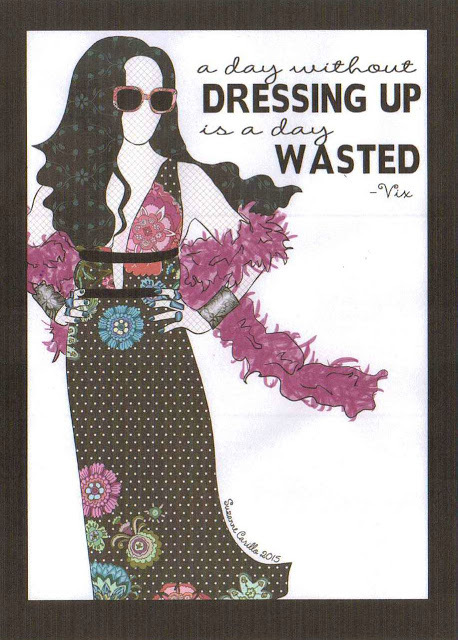 How fashions have changed, it's now avaialable ready mixed on our high street! It's a great colour for a bedroom, really intimate and restful - do it! Lovely bookcase....That Frank Usher maxi dress is a work of art.